The Yachtmaster is an experienced yachtsman, competent to skipper a cruising yacht on any passage during which the yacht is no more than 150 miles from the harbour. The main aspects of this examination are: Seamanship, offshore and coastal navigation, pilotage and meteorology. We can prep you for this exam. Yachtmaster Offshore prep and exam. Prep Content: Offshore & coastal navigation, pilotage & meteorology, boat handling, navigation aids, skippering skills, delegation skills, Safe operating procedures. 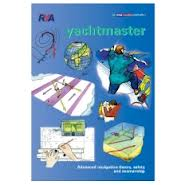 RYA/DoT Yachtmaster Offshore Exam (8-12 hour exam for one candidate, 10-18 hours for two.) Required experience and certification. Click here for more information on the yachtmaster exam.